It is recommended that we eat foods rich in nutrients to get a healthy heart. In addition to that exercising is encouraged for the same reason. Well, coconut water is a great addition to the secret for a healthy heart. According to many studies, coconut water helps contain risks of a heart attack. Similarly, it lowers blood pressure. Hence it helps you avoid hypertension. For a better cardiovascular health, ensure you consume coconut water on a daily basis. You should be cautioned however that coconut water contains sugar. You should, therefore, avoid drinking too much of it. If you want to burn more calories, you must have an efficient metabolic rate. Several things could slow down your metabolism. However, you can reverse this effect using coconut water. The coconut juice is a great booster for your metabolism. Studies suggest that effective metabolism of fats and carbs requires manganese. The water from coconut fruit has plenty of manganese. This makes us confidently affirm that coconut water promotes metabolism of fats and carbohydrates. The water from coconut fruit is great for preventing kidney stones. Over the years, this has been profound benefits of the coconut juice. For victims of kidney stones, you must agree that the pain is an excruciating one. Getting an affordable relief from such pain is something to smile about. If left untreated, kidney stones can cause major health complications. Drink the water from the coconut fruit if you want to avoid similar health issues. An accumulation of crystals in your kidney results in kidney stones. This unwanted outcome results when you fail to flush out these crystals through your urine. Prevention is always better than cure. This is why it is encouraged to use coconut water. The water will prevent deposition of these crystals in the kidney. If your body goes low on water, you suffer from dehydration. If you lose water through excretion, you need to replace it. In addition, we also lose water through sweat. You can rely on coconut water to keep you hydrated all day long. 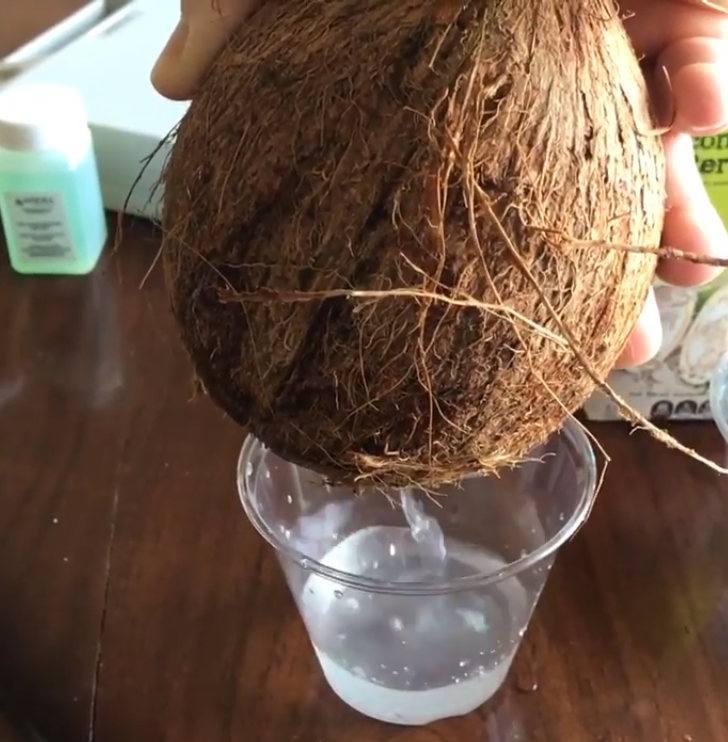 It is common to see many athletes taking coconut water after workouts. Dehydration deprives you of water as well as electrolytes and nutrients. Coconut water is a rich source of all the elements you will likely lose through dehydration. Fiber is critical for a properly functioning digestion. Health professionals will recommend that you include fiber in each meal you take. Coconut water contains the right amount of fiber to boost your digestion. So, ensure you get a reasonable uptake of the fruit’s water after or during each meal. Besides calcium, you need nutrients to develop and maintain strong bones. Studies support the use of coconut water to enhance healthy bones. Not only does it contains calcium in the right amounts but it also has provided you with magnesium. Magnesium boosts the strength of your bones. You can use the endospermic water of coconut if you are looking to lose weight. Empty calories are the main reasons for weight gain. The source of such calories is aerated drinks as well as sugary drinks. Substitute these drinks with coconut juice. It will keep you sat for longer hence preventing you from eating more often. Overeating is without a doubt a direct ticket to weight gain. Hence coconut water prevents instances of weight gain. Many chemical, cosmetic products claim to help you avert skin pigmentation. There is no guarantee that these products will work. Furthermore, the chemical ingredients present could react negatively with your skin. This is why you need to consider a more natural cure. Lucky for you, God provides us with coconut. The water from the fruit is great for remedying skin discoloration, blemishes, and tan. Moreover, Vitamin C, which is in plenty of coconut water helps with removing pigmentation. Our skins are prone to infection from bacteria and fungi. Bacteria and fungi cause a range of skin infections. You can stop using antibacterial and antifungal drugs because there is a more natural and effective alternative. Research shows that coconut water has antifungal and antibacterial properties. Therefore these properties make it crucial for treating common skin infections. The coconut fruit has a range of benefits we cannot exhaust in one day. Nevertheless, I hope you practice what you read. Start using coconut water today and reap its full benefits. Living healthy is more affordable than you think, just try coconut water.